"We're so excited to return to Arlington International Racecourse for Northwestern Day on June 1," said Vice President for Athletics & Recreation Jim Phillips. "It's a wonderful opportunity for the fans and friends of Chicago's Big Ten Team to gather for a day during the offseason." "We are thrilled to be partners with Chicago's Big Ten Team," said Tony Petrillo, Arlington International Racecourse General Manager. "When the Wildcat marching band performs it gets the entire crowd going. "Over the past couple years we have been thrilled to welcome Athletic Director Jim Phillips, head football coach Pat Fitzgerald, coach Kelly Amonte Hiller and the championship women's lacrosse teams," said Petrillo. 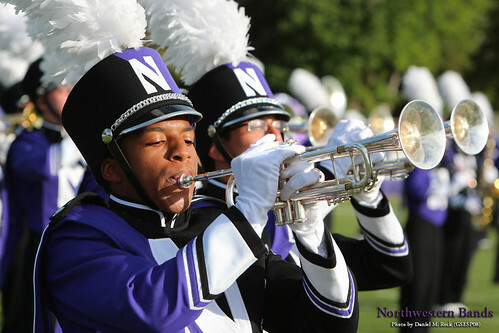 "We are proud to turn Arlington 'purple with Wildcat pride' and can't wait to welcome Northwestern University and its administration coaches, students, alumni and fans on June 1!" Northwestern fans have the opportunity to purchase general admission tickets for $2 off the regular price when using the code NUDAY14 at the Arlington International Racecourse website. More information on Arlington, including parking and directions, can be found at ArlingtonPark.com.